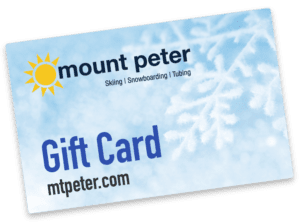 Mount Peter has turned thousands of beginning skiers and snowboarders into life-long enthusiasts. We’re famous for our Free Beginner Lessons on weekends and holidays and we’ve even helped launch a few competitive careers. Over the decades, our Mountain School has established a reputation as a highly regarded instructional destination by providing an outstanding level of teaching. 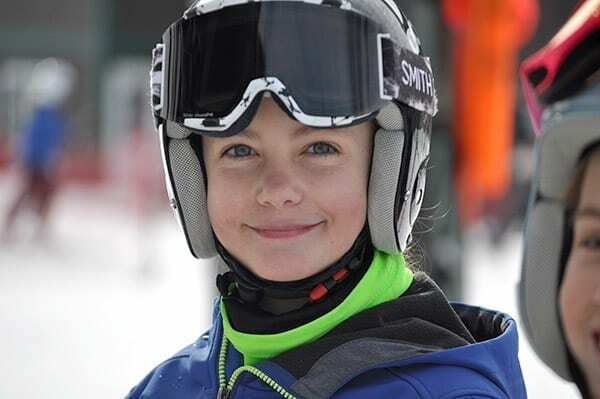 Lessons are led by instructors certified by the PSIA (Professional Ski Instructors of America) and AASI (American Association of Snowboard Instructors), and our Mountain School Director is a certified member of the PSIA Development Team. Our learning center is called the Snow Basin, and provides a safe, secure environment where anyone can feel comfortable getting the feel for sliding on snow. It is outfitted with an easy-to-use SunKid carpet lift, which simplifies the uphill experience and makes your first time on the slopes even easier! If they’re potty-trained, they can ski! Pete’s Pals is a fantastic way to introduce toddlers to outdoor winter play in a supervised, relaxed and fun-filled atmosphere. Each session takes place at the base of the mountain, and introduces children to the basics of equipment, balance, walking, gliding and other essential skiing skills. They will also head to the Snow Basin for a ride up the SunKid carpet lift. Pete's Pals is an excellent opportunity to assess each child's adaptability and maturity with respect to further ski school development. Please note that a parent or guardian must be on the premises at all times during a child’s lesson. Please arrive 90 minutes prior to lesson time if renting equipment. Includes tuition, ski equipment, lift ticket/area pass and hot chocolate. Helmets are not required or included. To reserve a spot for your child, call us or purchase online! This program was designed for the customer to decide what they want in a lesson. It can be used like a mommy (or daddy) and me class, or as a class with the whole family! Book an instructor and have the instructor teach you how to ski with your children, or just ski with your kids for an hour with instruction. Available on weekends, lessons are one hour. The lesson is for up to four people, ages 5 and up for skiing, 6 and up for snowboarding. Each additional person is $40. Price does not include lift tickets or rentals. 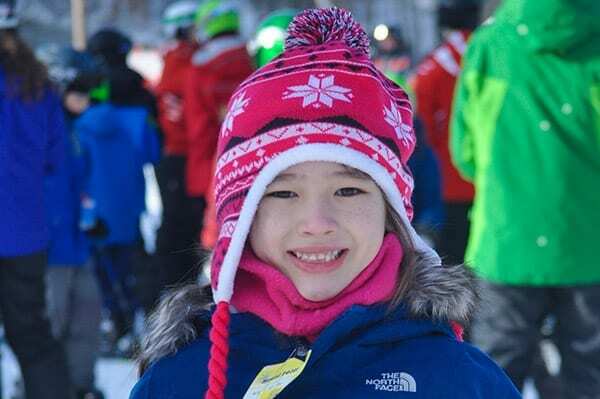 Geared for beginners, Basin Camp provides instruction to skiers ages 5-11 yrs. and snowboarders ages 6-13 yrs. Each 3-hour lesson also includes the cost of an Area Ticket and equipment rental. Basin Camp is available on weekends only, with sessions from 9 am until 12 pm, and or 12:30 pm until 3:30 pm. This camp is intended for skiers and snowboarders ages 6-12 yrs. For those skiers or riders that have accomplished riding the chairlift and skiing beginner terrain and want to learn the next step! Participants must already have ski or snowboard experience, and be able to ride the area solo to participate. Each 3-hour lesson includes the cost of an Area Ticket and equipment rental. Kids Camp is available on weekends only, with sessions from 9 am until 12 pm, or 12:30 pm until 3:30 pm. Read Mount Peter’s Mountain School Lesson Policy. Our Free Beginner Ski & Snowboard Lessons are available to skiers ages 5 and up with the purchase of a Lift Ticket. Lessons are available every weekend and holiday between the hours of 10 a.m. and 2:30 p.m., starting every half hour. Each 1-hour lesson is conducted in a group format at the base of the mountain. Emphasis is placed on introduction to equipment, sliding movements, basic balance and stance, stopping and direction changes. For your littlest skiers, check out our Pete's Pals package, which caters to Tiny Tots, ages 4 and under.